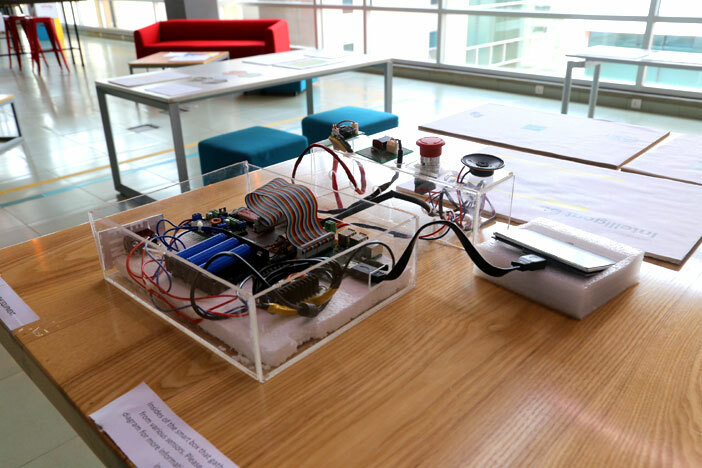 Habib University’s Centre for Transdisciplinarity, Design and Innovation, better known as the Playground, hosted a four-day event showcasing selected capstone and thesis projects of the HU Co-Founders, the first graduating class of the university who celebrated their convocation on 5th May, 2018. 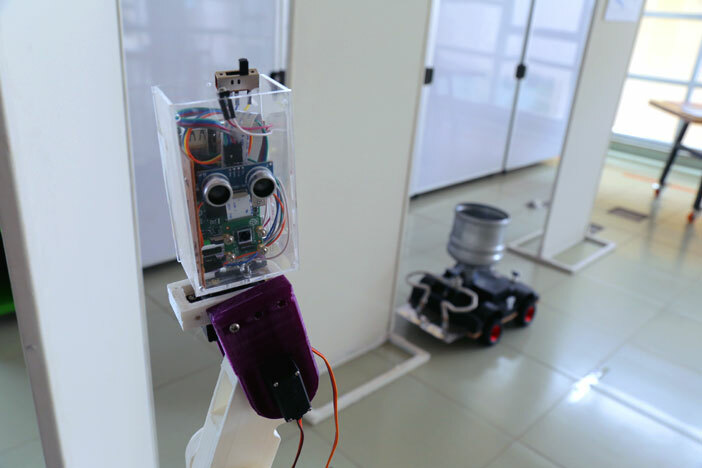 As part of their final year projects, students presented their diverse works – from robot prototypes to theoretical papers, mobile applications to poetry, and everything in between. The projects take on a unique transdisciplinary approach, stemming from Habib University’s Liberal Core which aims to promote interdisciplinary approaches towards education. That is, students are highly encouraged to study subjects that may be completely different from their major, for the sake of having multiple perspectives. The Liberal Core aspires to broaden a student’s mind and vision. The event, Transvestigations, showcased transdisciplinary investigations of complex, contextual issues that students identified during the course of their undergraduate studies. 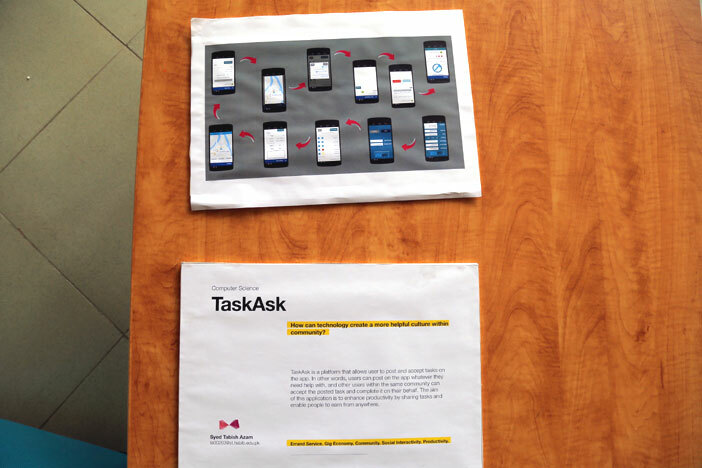 The projects were clustered broadly between ten themes of environment, mobility, automation, play, storytelling, economy, identity, society, gender, and health. The works were curated in the physical space to be in conversation with each other, and to complement each other. 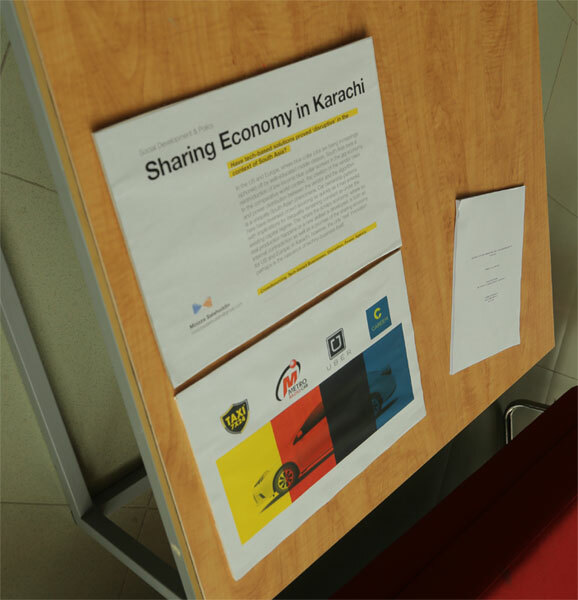 For example, Syed Tabish Azam, BS Computer Science, built a phone app to create a gig economy, while Moizza Salahuddin, BS (Honors) Social Development and Policy, critiqued and questioned the disruption caused by the existing sharing economy models, as they are implemented in South Asia. Some students unpack their personal identities, while others examine the construction of others’ identities in society. 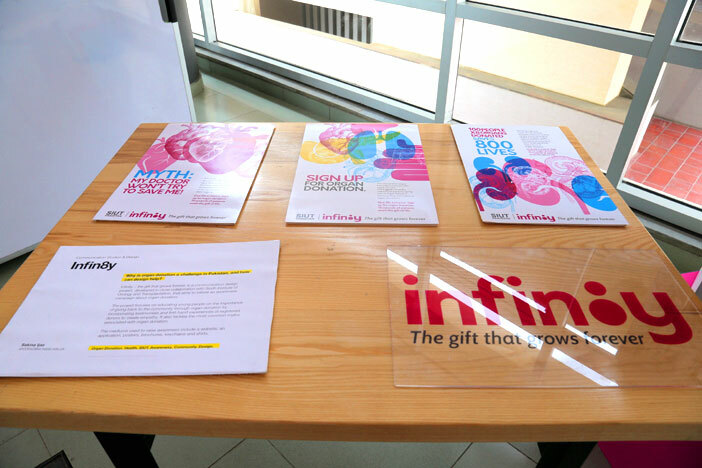 The show was open to the public, and expressed important questions that deeply affect Pakistani society, thereby being a unique testament to Habib University’s curriculum that emphasizes research and innovations to be embedded in their societal context. An example of transdisciplinarity on display were the projects on mobility: while Neha Panjwani, a graduate of Social Development and Policy program examined the exclusion of transgender persons on public buses in Karachi, three Electrical Engineering students – Abdul Rehman, Shah Zadi, and Tehami Siraj, built a sensor to make public transportation vehicles “intelligent.” Both address a similar issue, i.e. making public transport more accessible, but do so through different lenses, coming together to create a conversation on why these issues exist and multiple perspectives on how to tackle them. Anas Masood, who majored in Computer Science, structured his thesis on Predicting Protein Structures using Machine Learning. 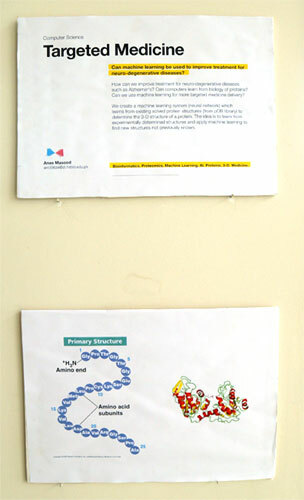 For his project, he combined the disciplines of Computer Science and Biology to innovate a data system that utilizes existing solved protein structures, and mapped the results in various fashions. The project could potentially push aside current methods of Protein Structuring, and may bring about notable innovation in the field. 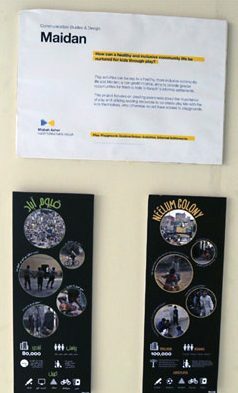 Another student, Misbah Azhar, who majored in Communication & Design, titled her thesis project as Maidan. She explored the playtime activities of children belonging to the under privileged communities of Karachi. 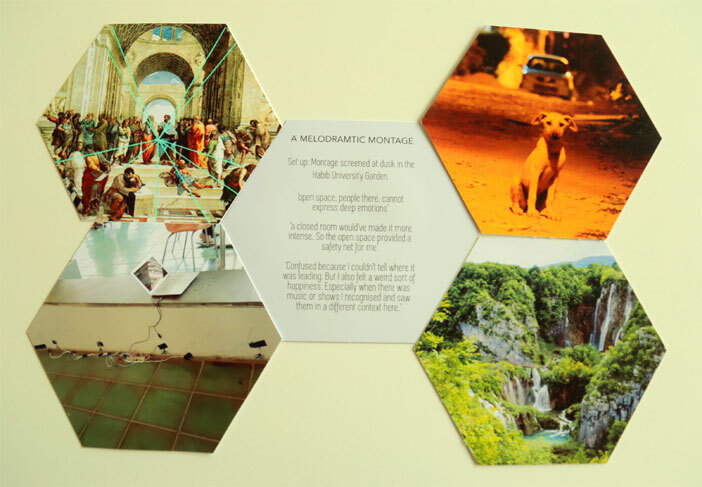 The project examined their games and toys, and the potential for inclusive public spaces. She created “educational” toys which could be made from scrap such as plastic bottles, rope, and tin. 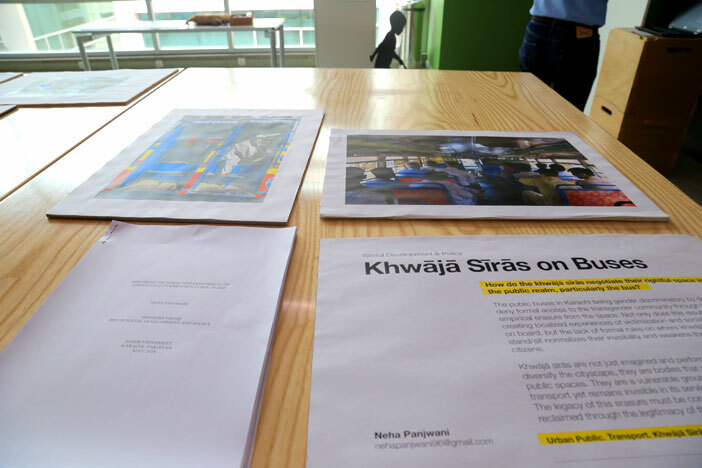 Combining her knowledge of both her major, Communication Design and minor, Social Development for her thesis, she was able to construct an interesting approach to the divide between the different levels of privilege between communities in Karachi.